There was a time decades ago that Cadillac, and not Rolls Royce, was the pinnacle of luxury in the auto industry. When the Silver Cloud debuted in the mid-1950s it didn’t have full power, tilt, cruise, air conditioning, even a V8 or automatic transmission! A Cadillac Eldorado Seville, Fleetwood 60 or Special did, and that was back in the late 50’s, and why our cars today have all these features. Hollywood stars didn't drive Rolls as much as they did Caddy’s and Lincolns. So what happened, what went wrong? Cadillac cheapened their brand starting in the early 1970’s. And it got worse from there. Remember, this was once a brand that competed toe to toe with Rolls Royce for decades until the late 1960s early 1970s until they cheapened their brand with “badged engineering,” littering rental car agencies with fleet sales, front wheel drive engineering that they still can’t seem to resist, and poor build quality. So what do they need to do to turn the brand around? This means refraining from rental counter fleet sales and doing other things to retain brand value. Actually, Cadillac should do what Lincoln has cleverly decided to do to avoid that stigma, and that’s by keeping an old model in production and assigning that car only to fleet sales to have Hertz and Avis use that car only. They can see those glory days again. If Land Rover can move the Range Rover upmarket Cadillac can easily do the same with any one of their products. But it has to be exclusive, hand built, well made, bespoke ordered, and limited production. It has to be at the minimum a V8 or larger, insane horsepower and torque especially if all electric. And it has to be rear wheel drive based, then all wheel drive as an option, and nothing about front wheel drive exclusively. They start with one car and make it a halo or flagship, coveted that a lot will want but few can have, even less can afford. It can be a saloon too if they want. But it has to be for a global market to sell elsewhere, and if it doesn’t do well here don't do what Lincoln did to their flagship to cancel it before giving it a chance. They do this, Cadillac will not only enhance the Cadillac brand, but it would put luster onto the GM chicklet badge as well. Now-Former Cadillac CEO Johan de Nysschen's abrupt departure was unfortunate, but as they say in the car business timing is everything. Although his strategy was to stick with sedans that I don’t think the luxury brands should should compete with anymore, especially against the Germans, a wave of electrics and CUVs that he needed will all roll in shortly. But a change in strategy and hands was needed, and part of that was dealing with the harsh reality that few competitors can actually compete with Mercedes-Benz and BMW sedans, and it was best to move on to CUVs and SUVs where Americans do best to remain competitive. Also see why the Cadillac XT4 may win buyers from Lexus and BMW. What do you think GM and Cadillac need to do to turn the Cadillac brand around? Let us know below! 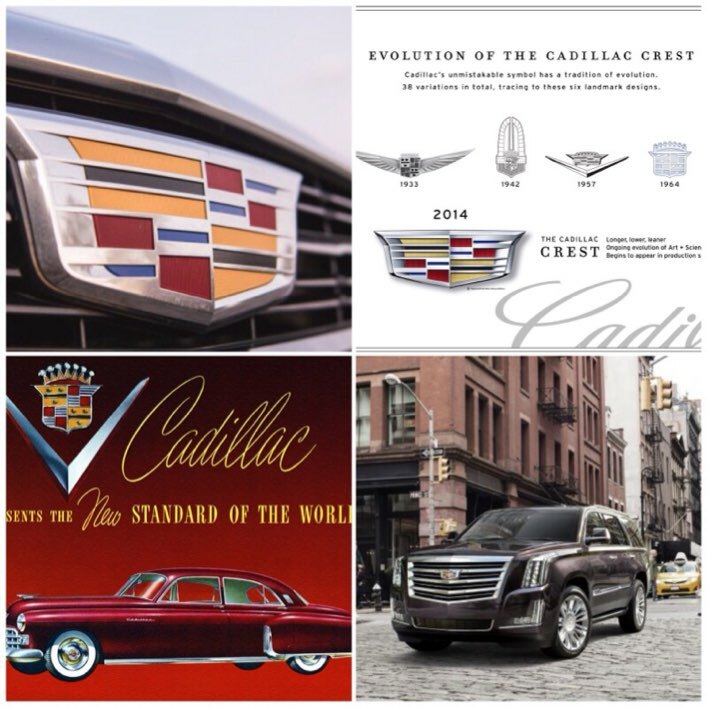 Images courtesy of GM Authority, Cadillac Motor Company of NYC, and GM. What they need to do is they need to start increasing the quality of their vehicles and start making their own chassis again. Driving a Caddy-badged Equinox isn't what people want anymore. I feel they should just focus on their quality, not their quantity like Lincoln seems to be doing. Sure, it will drive the price up a fair bit but it's a Cadillac. Ryudo, I'm baffled how you could have that opinion. Every Lincoln is warmed over Ford. We don't have a version of the Equinox. You appear either misinformed or just biased. Everything Nick said above is correct. Unfortunately modular platforming is something we’re going to have to accept moving forward. The days of the A Bodies are DEAD. 6 platforms for the entire WORLD for the company. Lincoln is not what they’re supposed to be doing to improve their luxury brand. You don’t cancel a halo flagship saloon meant for a foreign market in the first place at the first sign of trouble. You don’t put FWD and a V6 in the engine bay. Drivetrain goes back a twin turbo V8 up front and the first all electric car option for your fleet portfolio goes to your halo with ridiculously crazy insane horsepower. You take Continental switch to suicide doors stretch that backseat leg a little. Now put it into limited production bespoke only, and there you go, a Bentley and Rolls boxer Lincoln hasn’t seen in decades. Want to be bold? Year 3 or 4 of production or right after a refresh, cut the roof off the four door and sell it for $175,000+ as either a hard or soft or both convertible. Watch PDiddy drive one up at the Academy Awards with a driver top down. See sales skyroof. That’s how it’s done! Ryuodo, Your thinking is years old. The ATS and CTS are built on the Alpha chassis platform. It was designed FOR Cadillac and is one of the best handling and performing in the world. So good is it in fact that it is also used for the latest gen Camaro. The ZL1 Camaro obliterates many "supercars" costing 2-3 times it's price! The CTS-V embarases most of the super sedans from Germany on their own track (Nurburgring)! The CT6 doesn't share a platform with ANY other GM vehicle. The Escalade and x-overs share chassis with other lines but don't look like them. The current Escalade, though several years old still outsells most luxury SUVs.. Including the all new Navigator. EVERY Lincoln shares a model with a production Ford and it is very tough to convince someone that a performance sedan or coupe should be Front Wheel Drive. I am not anti-Ford by the way, I also own (and like) an F-150. As for quality, I have owned 3 CTSs and 1 ATS since 2006. None have had any major issues. There are a lot of folks that share your thought without even looking at the latest models and I guess that's a lot of Cadillacs problem. Every Cadillac sedan except for the XTS is built on a bespoke Cadillac platform and are all available with bespoke Cadillac motors. Then you say Cadillac should be more like Lincoln, yet every single one of their cars rides on a Ford platform. The only RWD car they make is the navigator. Where the hell do you get this from? I never mentioned any of that. In fact I agree with you which is sad. READ AGAIN that’s not what I said: I said Cadillac should do like Lincoln when it comes to fleet sales, take an old car or generation, keep it in production, and keep the rest of the range away from fleet sales rental counters limousine livery Uber funerals proms etc. The old Car does that. That’s what Lincoln is now doing to keep brand value. That’s what that means above and what Caddy should be doing. Easy now!! One more thing. Yes Navigator is the only RWD but so should've CT6. I read here in the archives about Caddy making a bigger all electric saloon tonsit in top of the range. I hope so. If so, that’s not only about Model S that’s also about EQS Class and Bentley eSpur or whatever electric that is which is where Caddy should be heading. It would be nice for the first few years they’d add that handbuilt V8 in it but unlikely. Cadillac should redesign the Northstar to run and bring back the STS and keep the XTS. Northstar? Northstar?! You mean those crap GM badged motors from Australia or wherever that break after 50,000 miles? NO. STS too small. XTS was an Impala in leather. So is CT6. That new purpose handbuilt 500 horse Caddy V8 is for them as a gift. Cancel CT6. Put a twin turbo on the V8 with an all electric as an option in a larger $100,000+ Caddy Phaeton Saloon bespoke to order limited production car, and there goes Caddy off to the races not seen against Rolls Royce since the late 1960s: a Bentley Spur RR Ghost competitor. That’s what they need to do. If Land Rover can do this with Bentayga and Culliwhatever, Caddy can do it AGAIN against Ghost and Spur like it did with Silver Cloud and S2. Better yet, that fleet Car Lincoln has designated forever to airport and prom hell? Guess where CT6 is heading? We just found the right car! I've been selling them for 3 years. Its simple. We were car heavy in a crossover crazed world. XT4 couldn't come to soon. XT6 will be huge for us as well. The redone CT5, if styled more aggressively than the vanilla ATS and lukewarm CTS, should help overall sales too. We can make the greatest sedans in the world and if no one is buying sedans, it doesn't matter. We need crossovers. We need an expressive coupe. We need a halo convertible. Those along with an updated CT6 and redesigned Escalade should leave us sitting pretty. CT6 is going tobe cancelled as I edit this. Caddy only needs only one sedan and it’s going to be a European saloon they make in limited numbers so they're going to make it count. And the halo drop top is a convertible version of the saloon, or the electric Corvette GM might give to Caddy. Your choice. The full size drop top is what they’re used to legacy-wise. Just bought the CT6. I'm 6 foot 5 inch. I fit perfect in this caddy. Love the ride, love the car. Congratulations on your new Cadillac, and please enjoy it good health. And enjoy it as long as you can: Since it was recently cancelled, the Cadillac CT6 will probably be the last big full size gas powered Caddy in GM’s history. If any of you get the last ones made with the Cadillac exclusive hand built and tuned 4.2L V8 engine, those definitely will become collectors items. Take good care of them as they are truly a precious commodity of Cadillac tipping its hat to its heritage, of the old school V8 powered big Caddy! They were gas pigs but I’m going to miss them! Sad to think that these mommy-mobiles are what everyone wants. I don’t know your age or who’s Mommy is yours or anyone’s frankly but I know this: the mere fact you call them mommy whatevers BEG that if you were in a position to buy this kind of car you'd want it a certain way to appreciate your tastes and the brand. And I’ve driven two Cadillacs over the years. Not everyone wants them. Not me and not now like this or not yet. Only the ones who can afford them and have class to order them and assessorize them properly not like a pimpmobile actually want them to appreciate them. And one day you’ll see what I mean whether it’s this BMW Mercedes whatever. My personal opinion: ditch the gloss plastic interior and plastic chrome look... it looks too generic for a high luxury vehicle. Interior is great otherwise, but not a fan of the gloss at all as I've always thought it made it look cheap. I also think the fender line headlights need a major rework across the board. I can see they really tried to embed it in their entire lineup, but I think the depth could be reworked to not look so out of place/unnecessary all the way up the fender-line. Cadillac as a whole has done WAY better than Buick could ever dream off tho coming into a new age, and I think they'll succeed no matter what for a long time. Amen. Never mind the outside. That Fushion Design Technology look was fugliness that grew on me to accept it. I’ve always said they need to start on the inside with the GM cheap plasticky interior. Bob Lutz helped them along with this but like their damn FWD they seem not want to let go!! One big thing for me is ditching their stupid alphabet/numbers name soup on their cars! I know what a Seville is. What the hell is a CT6? That’s about following the German Model for nomenclature to emphasize brand not any one car. They just don’t want Sedan deVille anymore. I don’t know how old you are but this is also about not being about your fathers or grandfathers Cadillac, ironically we should be so lucky. Lincoln did away Caddy seems happy. Moving forward expect only halos special editions commemoratives etc to have names not codes. Escalade is forever. But that’s it. Maybe a Cadillac Phaeton if electric. That’s a legacy name for them won’t surprise me they bring that name back. Fleetwood? Perhaps. But that’s in that category I describe above. I understand that the latest rage is CUVs, SUVs and trucks, but I think that the low gas prices that lured people in to buy big vehicles are gone, and the gas prices are steadily creeping up. Even though Cadillac was slow to follow that trend, their most exciting cars to me were the ATS-V and CTS-V, but they are dropping both of those models now. Clues to a good future for Cadillac come from rumors of them building a halo luxury supercar based on the upcoming mid-engine Corvette, and the CT6 V-Sport with 550HP/627TQ is a good move. But with Chevy hinting at a Camaro V8/hybrid with 545HP and 24MPG, Cadillac should lead the industry by putting that drivetrain in their sedans, crossovers, and SUVs, and they should also leverage the Bolt's battery to offer pure electric versions on all of their models. In China Buick showed off their impressive Enspire pure electric CUV concept with 370 miles of range and 4 sec 0-60 acceleration, but they should release it as a Cadillac in the U.S. Cadillac earned their reputation as an engineering and luxury innovator years ago, but they need to lead in these new technologies, being the marque that shows off the best new ideas of GM first, rather than following Europe's luxury brands a couple years later. Dean I’m not going to debate you about these damn PHEVs but if you’ve been reading anything about my work lately you know that these car companies are now on the move to get the BEV thing going. VW Ford GM, 2020 is the year of the BEV. The Jaguar debut of an all electric XJ saloon flagship is going to be another game changer in the top range market next year. After that nobody is going to be interested in putting tiny batteries in a large sedan anymore ater that. OKAY? Please put aside your sentiments about your Volt and ELR for a second please. I’m dead tired right now I should be sleeping but do me a favor and look in the TorqueNews archives: Dean there’s an article here in the archives and for the life of me I can’t remember if I wrote the damn thing myself as I’ve got stuff all over the place, you can tell I’m tired, but I’m pretty sure of this: Cadillac is looking to cancel its CT6 and put a larger full-size sedan on top of the range and it’ll be all electric. I know it’s in there and it’s fairly recent. Can you put that URL here? And give us your opinion. I’m falling out ok good night thanks. Al, with all of the ideas that I mentioned, from a mid engined supercar to Cadillac selling the Enspire here under their brand, you shouldn't focus on the PHEV thing. PHEVs will be here for many years to come, just as regular hybrids have still flourished despite the introduction of PHEVs and BEVs. It is important to understand that the slice of electrified cars needs to grow across the board, including all variations, to be more than a token gesture in the larger automotive market. It isn't enough that Cadillac builds a flagship limo that's a BEV, they need to lead the industry to offer PHEV and BEV versions of all of the vehicles across their whole model lineup to be recognized as an industry leader. Dean I love you. But ZERO EMISSIONS NOT LOW. ZERO. That’s ZERO. That is the point of having these things otherwise what’s the point of having your car can stink up the environment after 50 miles ok? Years yes by 2040. That’s it. Now did you do what I asked? Yes, that article that Armen posted about Cadillac's future is very relevant to this topic. "First was at the Bank of America / Merrill Lynch Auto Summit in the spring of 2018 in which GM CEO Mary Barra showed a slide that gives us a glimpse into telescopic overview of future Cadillac product plans. Second, was that at the Barclays Global Automotive Conference a year ago Barra discussed GM's plans to develop a new, highly-modular EV platform. The third comes from Cadillac's Chief Johan De Nysschen, who told Motor Trend in April of 2018 that Cadillac will get its first pure electric vehicle in 2021. GM has ambitious EV plans, and Cadillac "features disproportionately in terms of how many of those vehicles will have the Cadillac crest." In that same interview he said that the next generation Escalade is not due until 2021 and its "gonna blow you away."" But we are talking about rumors, clues and educated guesses. And the timeline given for starting is 2021. This highlights the folly of a "Zero emissions or Nothing" philosophy. Tesla started over 10 years ago and they are just starting to make a profit now. Happily their EV groundwork brings a public awareness and acceptance that makes it possible for traditional automakers to ramp up far more quickly. But there is not going to be a full model lineup transition to BEVs. The move to adding more EVs will involve more hybrids, PHEVs, and a larger than 1% more to BEVs. Even VW who has a legal obligation to leave diesel, and promote BEVs will take several years to ramp up their MEB-(Modular Electrification Toolkit) system. I am excited about the EV announcements, but I am realistic about the fact that the current petroleum based system still dominates over 95% of new vehicle sales. So hybrids, and PHEVs will still pave the way for the BEVs of tomorrow, and it is vital to support the move to an electrification of cars in a way that keeps it's feet while promoting it's legs. Dean, wish to amend that statement about PHEVs being here for a long time? I won’t have you eat crow, but I’m assuming you're out of denial by now . . . I think Escalade should come in a V range as well, why not? And I’m sure Caddy will think of something special to transfer the gasoline V universe into the electric world: with Rivian’s 4 motors and Roadster’s 3, it wouldn’t surprise me them getting insane with the motors and battery packs to create road monster variants. I cant wait. Nope. I stand by my statement. I think that GM is making a real mistake cutting the Volt now, and I believe that many manufacturers will be offering PHEVs for several years to come, with many of them transitioning their normal hybrid offerings to PHEVs. I think that there will still be new PHEVs sold 10 years from now because there is a large group of buyers who want the security of having a gasoline backup for roughly unlimited driving range. The Volt was selling well in it's compact car market, but I think that GM will be soon releasing several BEV models, and seeing that their federal EV subsidies are nearing the end I think that they killed the Volt early to be able to announce the release of new BEV models with the full EV subsidies (+/- $10,000 cheaper) to insure early sales success. Most likely though the new GM BEVs will be built in China or Mexico, which is going to anger a great many Americans who are still upset over having to bail GM out a few years ago (because of making similar poor corporate decisions). So even though I am pleased that GM is jumping ahead with their move to BEVs (although they have not formally announced that this is the reason for killing the Volt and closing the Ohio factories) the choice was poorly timed. I heard that Tesla is looking to possibly buy the closed GM factories for production of their BEVs, but that would be a double-blow for GM getting bad press for the Ohio shut downs, and also enabling Tesla to grow just when GM is looking to seriously expand into BEV models of their own. The smartest move for GM would be to announce the move to BEV production ASAP and build them in the Ohio plants, but I suspect that they have already done preparations to build their upcoming BEVs overseas a long time ago, and reversing those plans now would delay their expansion into the BEV market for several (critical) years, while their competitors take over the expanding market. Ford and Chrysler are too quiet on their plans for BEV transition as well, which is disturbing.